Seeing a glacier was a top priority during our recent holiday to New Zealand and we were able to do that with ease from our home base at Wyndham Wanaka. 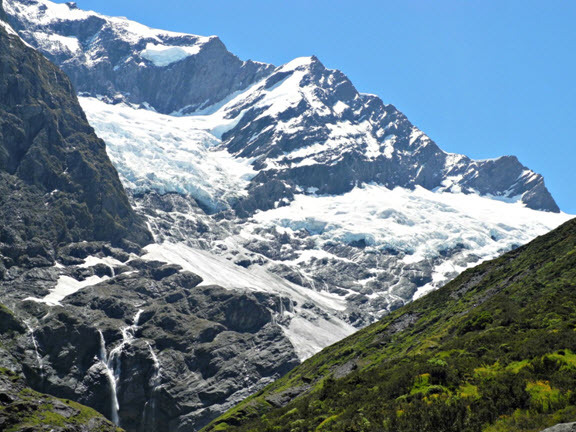 Rob Roy Glacier was just an hour’s drive away, in the Mt Aspiring National Park. 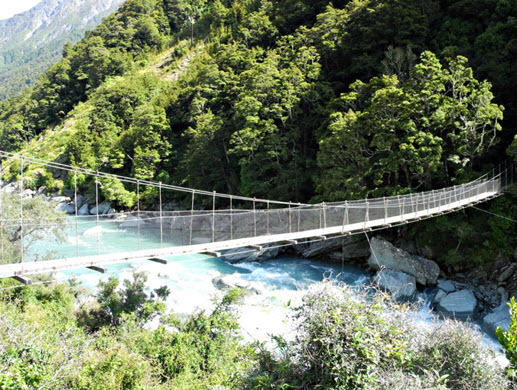 The five kilometre Rob Roy Glacier walking track began at the Raspberry Creek car park and meandered across the river flats to the suspension bridge across the Matukituki River. 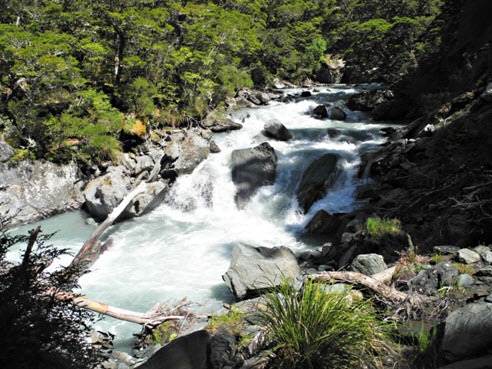 From there it climbed uphill – at first a gentle incline and then more steeply, following Rob Roy Stream through shaded beech forests carpeted with ferns and mosses. At the head of Rob Roy Valley the forest gave way to alpine plants growing above the tree line. The viewing point at the end of the track, 1000 metres above sea level, afforded us uninterrupted vistas of Mt Rob Roy and its spectacular glacier. The sight of sheer cliffs, tumbling waterfalls and glistening snowfields certainly matched our anticipation. Even though there were several visitors the area around the viewing point had an air of quiet reflection. 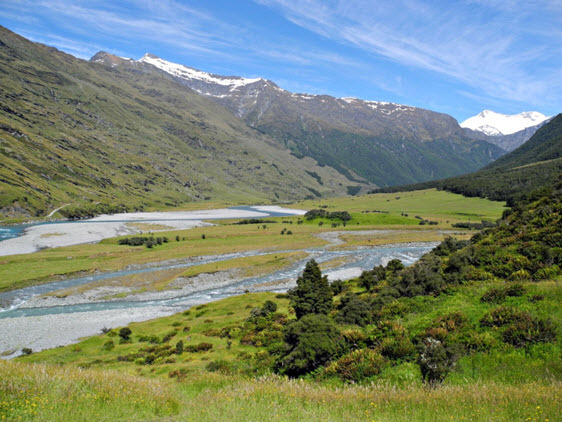 In such majestic surroundings it was hard to believe that the tourist bustle of Wanaka was just a short drive away.